ESL Made Easy: Start the First Day of ESL Classes Off Right! Start the First Day of ESL Classes Off Right! The "first day" for anything can be nerve racking for just about anyone! 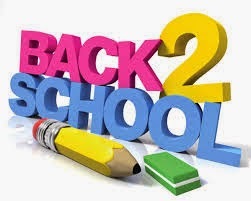 Your ESL students whether returning or new, will be feeling the September butterflies of "Back to School" in a few days. Make it easier for yourself and for your students by introducing a few ice breaker games and activities on the first day of class in order to create a comfortable and warm classroom environment. You may want to begin by having students ask YOU questions instead of volunteering information. It's a great time to also review question making too! Here's a post I found on ESL Teachers Board Activities for the First Day of Class for Adult ESL Students by Amy Kestly that will allow your students to know more about each other (in a fun and lively way) and allow you as the teacher to assess your students' ability levels.